A Child's Delight! : Cupcakes Galore! We have a new neighborhood bakery in the Marina near our San Francisco location! 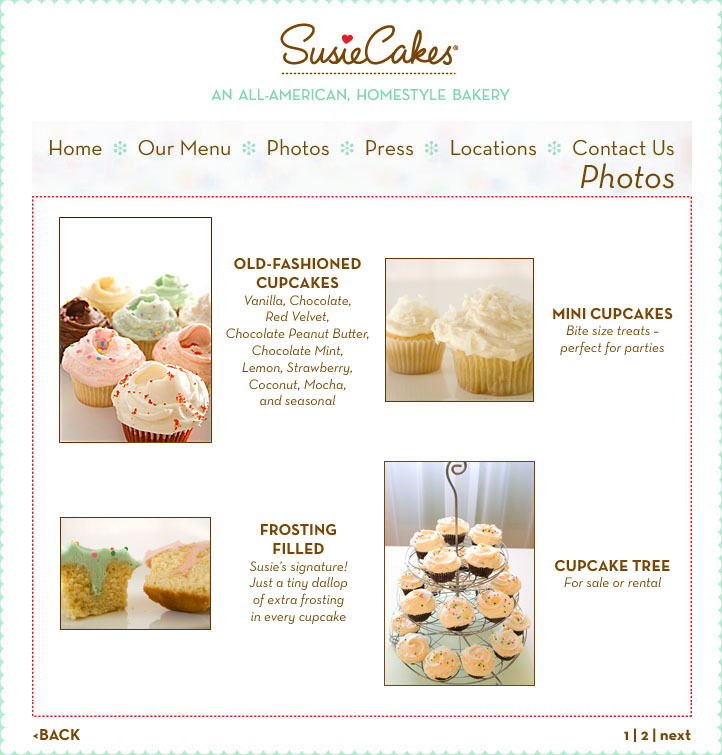 SusieCakes is located at 2109 Chestnut street and we are thrilled to have them near us because we always get people asking us where a good place is to get birthday cakes for their kids and now we have a place to send them. Their pre-made cakes and cupcakes are the old fashioned kind that everyone loves, but they can also do custom cakes to suit any birthday theme. They also have delicious cookies and can make any shape or theme you want for those as well. They even make mini cupcakes when you just need a little fix to quell your cupcake craving. Their cakes are buttery and dense and their flavorful frostings are piled high and topped with delicious sprinkles. Want to try one? Then come into our San Francisco store to receive a voucher for a free treat of your choice, including cupcakes, chocolate chip cookies, brownies, 7-layer bars, snickerdoodle cookies, or iced molasses cookies! They are good until the end of the month, one per person, while supplies last.